In this article I'll show you how to export your Photo Contest leads to one of the integration we offer. 3. In the drop down select "Integrated Apps"
4. 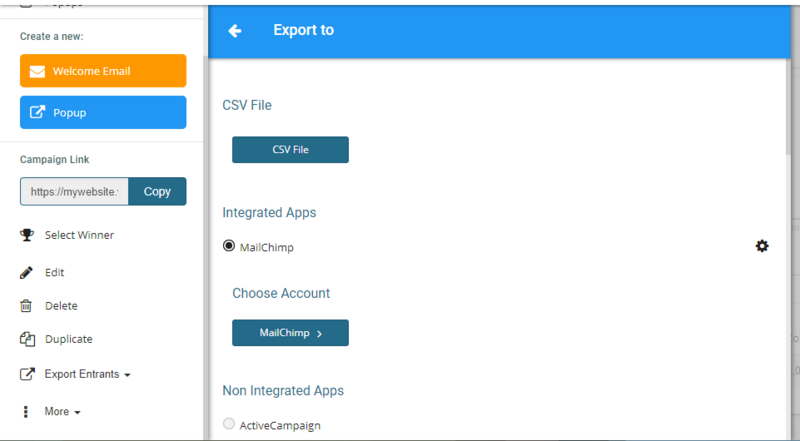 Select the email system or CRM that you would like export your leads. For the purpose of this article I'll select Mailchimp. Click on the blue "Mailchimp" button. 5. In the drop down you will see all lists that are associated with your Mailchimp account. Choose the one you would like to sync your data with. 6. Match the fields between Wishpond and the list on your app and click "export"
7. 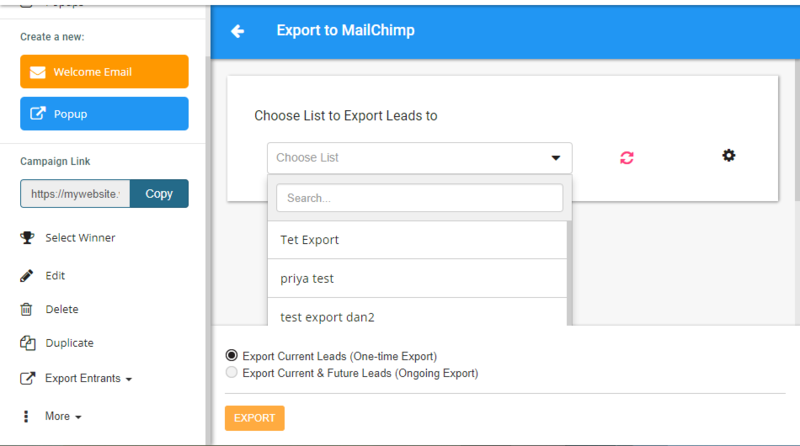 To export your leads once only please select "Export Current Leads (One-Time Export)"
8. If you wish to have your leads exported automatically while your Photo Contest is still running live please select "Export Current & Future Leads (Ongoing Export)"